Plus we get the skinny on Audition CC, Prelude CC, SpeedGrade CC and Story Plus. As Adobe wraps all of its updates to its professional creative apps as it kills Creative Suite in favour of Creative Cloud, Premiere Pro benefits from universal cloud features such as Sync Fonts and Sync Settings that let remote videographers and artists get down to work right away in a familiar tool-based environment, regardless of where they’re working. In Adobe's transition from Creative Suite to Creative Cloud, familiar apps get an upgrade while subscribers get a slate of extra services for their £46.88 monthly subscription. Access to Sync services, 20GB of online storage, the Behance community hub, automatic cross-platform downloading and updates to all programs in the suite, and training are some of the benefits built into subscriptions. 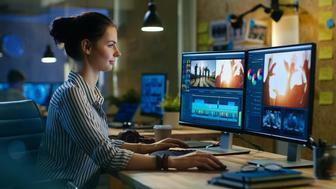 Today, at its own conference, Adobe Max 2013, the company is revealing more details about the new version of its desktop nonlinear editing and motion graphics programs. Here are some of the highlights. Perhaps the most exciting new feature of Adobe’s motion graphics application is the Live 3D Pipeline between After Effects CC and Cinema 4D. With upcoming support for Adobe Anywhere, which allows video teams to work on a shared server without having to download source media, broadcast and post-production professionals can collaborate regardless of location. 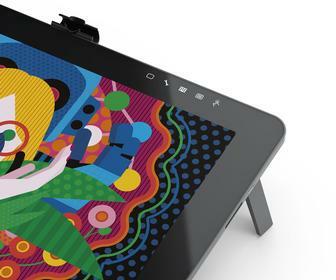 The Refine Edge feature lets you separate difficult foreground elements—such as hair or soft edges—from poorly lit or complex backgrounds, and creates high-quality matting results. You can now insert 3D objects directly into After Effects compositions via the new Live 3D Pipeline with Maxon Cinema 4D Lite, which is included with After Effects CC and Creative Cloud. A new advanced rendering engine lets you composite C4D files (including OBJ, FBX, and Alembic file formats) within After Effects. You can perform round-trip edits and modifications between Cinema 4D and After Effects, meaning that changes are automatically updated in the After Effects project. The Warp Stabilizer VFX tool lets you smooth handheld footage or lock a shot – or part of a frame – automatically. You can select stabilization points, edit and delete them throughout time, and preserve scale to fix tricky shots such as aerial fly-throughs. You can also reverse-stabilize. The tool lets you select objects within a scene to stabilize while leaving others unstable, or customize the effect. Pixel Motion Blur allows you to create the photographic illusion of movement by adding motion blur to your frames or to elements within them. The Editing Finesse feature offers numerous interface enhancements and new shortcuts designed to make video editing more fluid and intuitive. It provides a redesigned timeline, track targeting, dupe-detection markers, through-edit indicators, and clearer labels for start/end of media. The Paste Attributes feature lets you copy effects from one clip to another. And you can now edit source sequences into different sequences without nesting, while retaining all component tracks and clips. The new Link & Locate feature helps you manage media quickly by locating clips regardless of where they’ve been moved over time. Lumetri Deep Color Engine technology lets you apply SpeedGrade color grades and looks from within Premiere Pro. The Lumetri Looks folder in the Effects panel serves up rich, styled preset color grading effects. The Audio Clip Mixer lets you adjust each clip independently, offering a hands-on audio control surface. New real-time audio effects permit better sound and Premiere Pro supports third-party additions such as VST3 and Audio Units (AU) plug-ins (for the Mac). The Sound Remover feature lets you eliminate specific audio elements. Select a sample of an unwanted sound and Sound Remover scans the clip and removes that element from the recording. You can also use it to repair or restore dialogue and production audio. The Preview Editor offers a new split-screen view that you can use to compare effects results visually and to look at multiple sections of a file. Compare different regions of a clip or zoom in on a selection—without losing your place in the main window—to confirm an effect before applying changes. Comprehensive clip manipulation and grouping tools let you craft multitrack projects, apply edits and effects to multiple clips, and organize project audio. New color-coded tracks, automatic crossfades and clip merging, and assorted enhancements speed up the editing process. The new version of Prelude offers enhanced file support for ingest and transcoding. It accelerates shot logging with Hover Scrub thumbnails in the Project panel, file renaming during ingest, and metadata templates. Hover Scrub thumbnails let you review clips in the project panel without having to view the clip. Click the clip to make it active; then play it using standard keyboard controls. You can export rough cuts directly through Adobe Media Encoder to share on most devices and to collaborate via Adobe Anywhere and Adobe Story, the screenwriting and production scheduling software. Much excitement surrounds the Lumetri Deep Color Engine, the GPU-accelerated 32-bit floating-point image-processing technology that governs SpeedGrade. That’s because this technology offers huge scope for working with High Dynamic Range content, enabling you to pull details from blacks and highlights. The new Shot Matcher automatically matches selected shots for content from different cameras or shot under varying lighting conditions. See the left-to-right luminance values of your shot with the new Luma Waveform display, a tool for guiding black and white balancing. Adobe Story Plus, an upgrade of the video suite’s collaborative script-writing tool, offers features such as automatic script formatting, outline mode, version comparisons, and cast and location lists. Scheduling tools sync with your script to facilitate planning and communication between writing teams, production crews, directors, and producers – or let you access shared projects online to manage and schedule script revisions. Script collaboration lets you share projects by setting access levels for team members, and determining who can read, comment on, or modify content, including scripts, schedules, and reports. Track changes, manage production revisions, and compare older drafts. Work online or offline, and lock documents when you take them offline to prevent accidental changes by co-authors. You can also add camera shots to your script as you plan your production, and then use your schedule to generate scripts with scenes in shooting order and camera card reports that detail what shots are required for each camera shooting each scene.